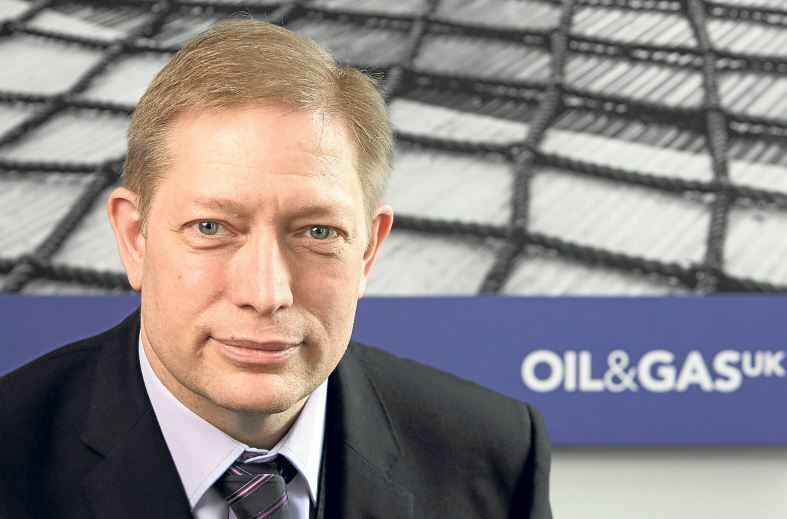 My visit to OTC for the first time in my new role as supply chain and HSE director comes at a time when both the UK and international oil and gas industry have begun to emerge from weathering some turbulent times. Last year, the mood at OTC felt subdued, reflecting the challenges we faced in 2017 with the much hoped for ‘green shoots’ of recovery proving elusive. Attending OTC is always an effective way to keep a finger on the industry’s ‘pulse’ and this year I’ll be looking out for signs that the recovery we are seeing in the UK is recognised elsewhere. The UK industry has shown remarkable resilience in demanding business conditions. In March, our market intelligence report, the Business Outlook revealed that unit operating costs had halved and production has risen 16% higher than in 2014. We are more competitive, becoming much leaner and fitter in the process. Much of this impressive performance is thanks to the UK’s oil and gas supply chain which has over the past 40 years developed unrivalled experience in maximising economic recovery of hydrocarbons and expertise in optimising operations in a mature basin. During the downturn, we’ve succeeded in carrying out some excellent work on cost and efficiency in the UKCS by adopting a collaborative approach. My priority is to ensure this shift in behaviour continues going in the right direction, to build on the hard work that has delivered such significant improvements in industry performance. If we don’t focus on capturing our competitiveness improvement gains, there’s a chance that we may slip back into the habits of old, allowing the oil price increase and increasing optimism to drive up inflation and set in motion the destructive cost-rise cycles of the past. It’s about ensuring we’re all committed to getting the balance right between cost control and rewarding performance so that the whole supply chain – operators, contractors and suppliers – work together to maximise value from the basin, generating a healthy return for all stakeholders in the process. If that happens, there’s a real chance we can capitalise on a wave of potential new business opportunities that could ensure a sustainable future for the UKCS for decades to come. Sharing good practice and contributing to pan-industry initiatives will help tackle the challenge of maximising economic recovery from the UKCS. Take the subsea expertise we have developed for example. Of the estimated 10-20 billion barrels of oil remaining, three billion of those barrels lie in small pools ripe for development. Making the most of the existing infrastructure in the basin and our subsea expertise, we can extract greater value from these challenging small finds, an attractive prospect for those looking to yield returns from harder-to-reach reservoirs. Our collaborative approach to driving efficiency improvements is helping deliver the competitiveness we now see in the sector and the industry-led Efficiency Task Force (ETF) plays a key role in leading collective efforts to make the UKCS a more attractive basin for investors. Alligin and Vorlich fields will come on stream in 2020. Our 2018 Business Outlook identified a further 16 major projects likely to be sanctioned this year. This would unlock more than £5 billion of investment – a positive endorsement of the future of the basin and good news for the supply chain, the economy and the hundreds of thousands of UK jobs supported by our sector. What we have learned from the downturn has transformed the industry. With continuous improvement becoming the new norm, we remain focused on developing smarter ways to sustain our competitiveness. This hard-won capability is highly marketable and, longer term, the aim is to ensure the UK service sector fulfils its potential to export its expertise and increase its share of the global market. We have developed the technologies and approaches required to maximise recovery from mature basins and can apply that knowledge globally.